In a promising sign for the Bay Area’s housing recovery, the number of underwater homes in the region fell at the fastest rate in at least two years during the third quarter, according to a report released Wednesday. The drop pulled 42,000 homes in the East Bay, Peninsula and South Bay into the black, so that their homes are worth more than the mortgages on them, the online real estate company Zillow reported. Only Contra Costa County is at roughly the national average of one in five homes in negative equity, Zillow said. 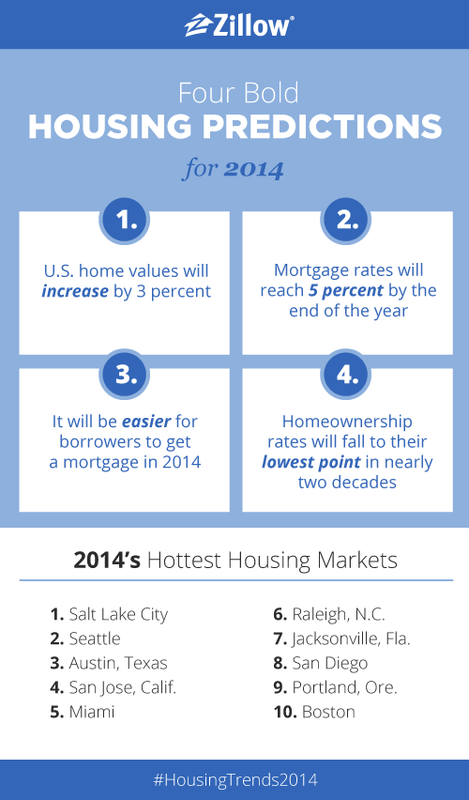 “The movement is unalloyed great news for the housing market,” said Zillow’s chief economist, Stan Humphries. In the past year, 103,000 homes have emerged from underwater status in the four counties of San Mateo, Santa Clara, Alameda and Contra Costa, Zillow said. Bay Area home values are up about 25 percent over the past 12 months. “That’s three or four times the national average,” Humphries said. Only 13.3 percent of Alameda County homes were underwater in the third quarter, down from 19.3 percent in the second quarter, Zillow said. In Contra Costa County, 19 percent were underwater, down from 26.8 percent. Santa Clara County dropped from 10.6 percent to 7.2 percent and San Mateo went from 9.8 percent to 6.8 percent. Author kimhuntkwPosted on January 31, 2014 January 29, 2014 Categories National Housing NewsTags the market, trendsLeave a comment on We’re bouncing back! Want to know what your neighbors bought this year? 2013 is coming to an end, so let’s take a look at what San Francisco homebuyers purchased this year. (Technically these numbers only report sales up until November 25. We are not time travelers.) The data has been pulled from the San Francisco MLS and prepared by Paragon Real Estate. Let’s start with dollar per square foot. Per Paragon, “Dollar per square foot is based upon interior living space and does not include garages, attics, rooms built without permits, decks or patios.” At $477 per square, the least expensive neighborhood by per square foot goes to homes in the Excelsior and Portola neighborhoods. It slowly moves up to $611 per square for Inner and Central Richmond houses, and peaks at $1,150 per square foot for South Beach luxury condos selling for $1.5M and above. South Beach condos selling for under $1M averaged $874 per square foot. Author kimhuntkwPosted on January 29, 2014 Categories Local NewsTags local, statsLeave a comment on Want to know what your neighbors bought this year? The U.S. Census Bureau and the Department of Housing and Urban Development released their joint report on new home sales in September and October. The regular September report was not issued in October due to the government shutdown. The data is included in the October report in revised form. New home sales in October were at a seasonally adjusted annual rate of 444,000, up 25.4 percent from the revised September rate of 354,000 units (August sales were at a rate of 379,000), the biggest monthly advance since May 1980. The original September estimate was not provided. October sales were 21.6 percent higher than the 365,000 pace of sales in October 2014. Sales in the Northeast increased 19.2 percent to a rate of 31,000 sales, 29.2 percent higher than a year earlier. The Midwest had annualized sales of 63,000 units, up 34.0 percent month over month and 21.2 percent from the previous October. Sales in the South were at an annualized rate of 259,000, a 28.2 percent increase over the previous month and up 41.5 percent from a year earlier. Sales in the West rose 15.2 percent to an annual rate of 91,000 new homes but this rate was 14.2 percent below sales in October 2012. On a non-annualized basis there were an estimated 27,000 new homes sold in September and 35,000 sales in October. More than half of these sales were in the South in both periods. Author kimhuntkwPosted on January 13, 2014 December 30, 2013 Categories National Housing NewsTags market stats, the marketLeave a comment on Best sales since 1980! For many homeowners, the thought of refinancing can be less appealing because the clock resets each time you re-mortgage. Essentially, you could be turning back the clock to 30 years each time you refinance. In some circumstances, especially if you’re a few years away from paying off the debt in full, a refinance might not make sense. You’re in luck though. For the overwhelming majority of homeowners, there are ways to refinance without starting over a new loan term. A Real-Life Example: Let’s start with the most popular mortgage term, a traditional 30-year fixed-rate mortgage. Whether the purposes are strictly payment reduction, interest rate reduction or cash-out purposes, the loan-term will start over a new 360 months, no two ways about it. The original loan amount taken out in January 2009 is for $300,000 on a 30-year fixed-rate mortgage, with a 5.5 percent current balance of $282,000 and a mortgage payment of $1,703.37. The new loan on a 30-year mortgage at 4.375 percent on same principal balance of $282,000 means a new mortgage payment of $1,407.98. That’s a savings potential of $296 per month on a new 30-year mortgage. A prudent consumer with stand to benefit by taking out the new 30-year mortgage over one full percentage point lower in interest in exchange for the savings just shy of $300 per month. By making the $1,703 monthly payment, rather than the payment of $1,407.98 that would actually be due each month, the loan would be paid off in 21.3 years instead of the current 26 years remaining with the higher interest rate. Moreover, this homeowner could always revert back to the lower monthly payment in case of financial hardship. As long as the same payment that was being made on the previous loan is made on the new loan that contains a lower monthly payment, the loan can be paid off much sooner. Is homeownership part of your long-term financial plan? Should Homeownship Be Part of Your Retirement Plan? Homeownership used to be considered the American Dream. Most baby boomers grew up with a goal of owning their own home. Now, many members of the younger generation question whether it is a good idea to buy real estate. No wonder -– having watched the housing market collapse five years ago, combined with a difficult job market, buying a house or condo may not be a wise move anymore. Homeownership has been steadily falling from its high of 69.2 percent in 2004 to a current rate of 65 percent, according to the U.S. Department of Housing and Urban Development. So, is it a good idea to buy a house or condominium? To be clear, this is a question about purchasing real estate as a residence, not as an investment. When considering whether to buy, there are three major issues to consider: liquidity, return on investment and the personal use value. Liquidity is the first issue to consider. Buying or selling real estate is timely and costly. It is generally not a good idea to make a purchase unless the property is expected to be owned for a long enough time period to recoup expenses and not result in a fire sale if circumstances require moving. For example, it may not be a good decision to buy a one-bedroom condominium if you expect to have a child in the next few years or to commit to a house if a pending job change may require you to relocate to another city. Obviously, if there is the possibility of buying a new house without selling the first, the illiquidity of real estate is not a problem. However, most people don’t have enough liquid cash reserves to invest in multiple houses and wait out the market for an opportune time to sell. A second issue is the return on real estate. Real estate has not seen the same capital growth as the stock market over the past quarter century. Nonetheless, real estate provides diversification to a portfolio and returns can be amplified by leveraging the purchase with a mortgage. For example, an individual buying a house for $100,000 with a $20,000 down payment will realize appreciation on the full $100,000 from the date of purchase. Although the rate of return on housing does not change, the gain on the investment is significantly higher. Finally, it is important to consider the personal-use aspect of housing when making a purchase. This concept can actually work in two directions. When purchased as a residence, houses are providing personal use as well as an investment return. This means a homeowner can live in the house and avoid paying rent while also experiencing gain on the house through appreciation. Yet that appreciation is locked in because the homeowner cannot tap into it without selling the house and losing the place to live. Author kimhuntkwPosted on January 8, 2014 December 30, 2013 Categories Real Estate TipsTags home ownership, investing, retirementLeave a comment on Is homeownership part of your long-term financial plan? RealtyTrac reports that the nature of distressed property sales is evolving. In its most recent report on market and distressed sales, the company noted that changing economics are increasing the reliance on more traditional third party purchases at foreclosure auctions rather than the lender/borrower negotiated sale at less than the outstanding loan balance. RealtyTrac has adopted a new methodology for accounting for short sales with the distressed and market rate sales report released Monday. The company now applies a calculation to take into account the true loan balance secured by a home at the time of the sale, and additionally separating out of the short sale classification properties that sell at a public foreclosure auction short of the loan balance. It is also including a new category of distressed sale in the report: third-party foreclosure auction sales, which represent sales at the public foreclosure auction to third parties other than the foreclosing lender. Sales in the new category of auction sales to a third party represented 2.5 percent of sales compared to 2.8 percent in September and nearly twice the 1.3 percent share a year earlier. Significant numbers of these auction sales occurred in Orlando and Jacksonville, Florida, each at 8.6 percent and Columbia, South Carolina at 8.1 percent.